Take a look at what’s fashionable this fall with this interactive photo gallery. Luscious sweater wrap with soft fringe detailing by Mat Fashions, from Greece, worn over a relaxed cotton button-up by Kilibbi, from Paris. 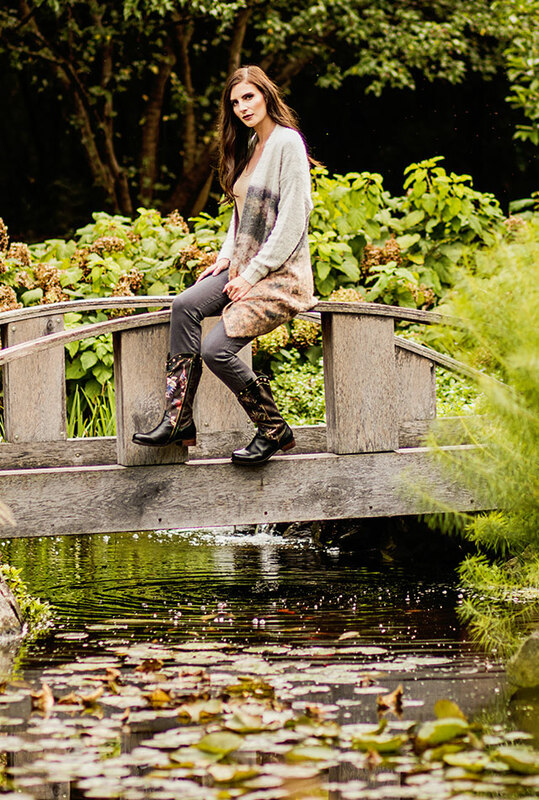 Worn with wear-anywhere pants by Rimini, from Amsterdam. Available at Eurostyle Plus, in Rockford. Dress by Karen Kane layered with a leather jacket by Clara Sunwoo. Accessorized with a clutch purse by Sondra Roberts. Available at K. Paige Shop, in Roscoe. 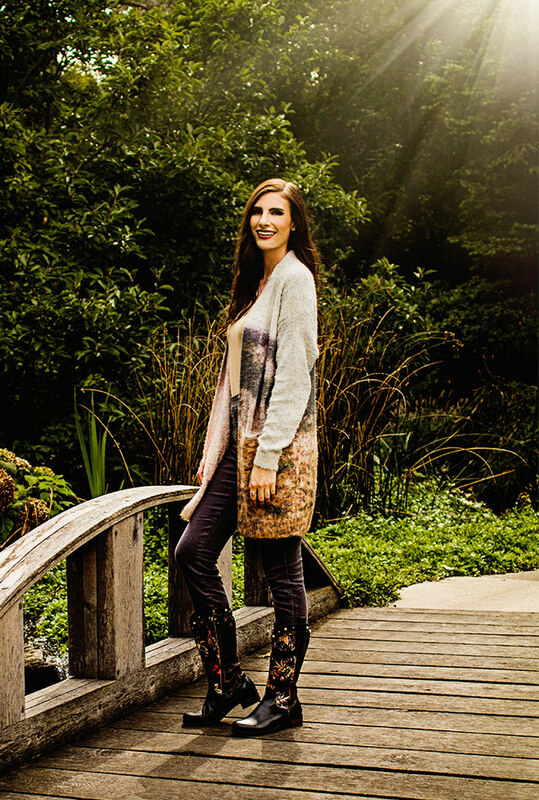 Multi-color pocket cardigan by Rain + Rose paired with skinny denim by Renuar. Worn with boots by L’Artiste by Spring Step. Available at K.Paige Shop, in Roscoe. Printed cap-sleeve grey knit dress by Aryeh, accessorized with a handmade tassel pendant necklace. Available at Lallygag Boutique, in Rockford. 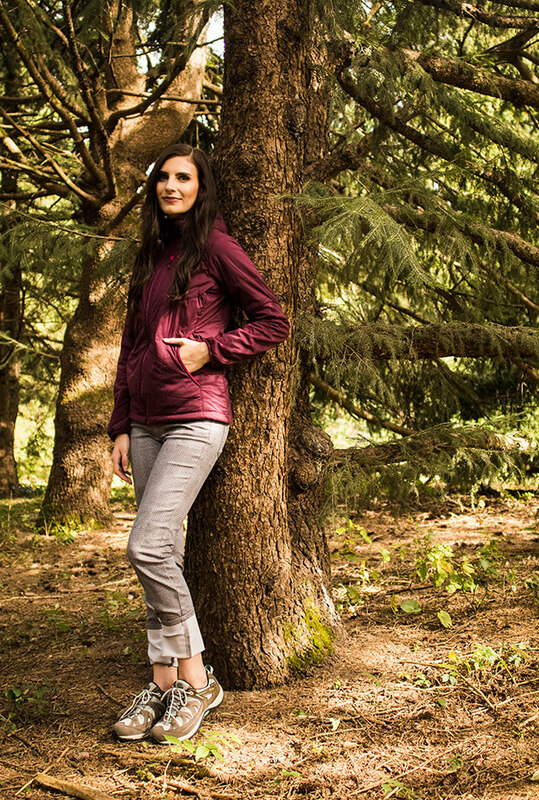 Weather resistant, fleece-lined ascendant jacket by Outdoor Research worn with prAna jeans by Kara Jean. Worn with waterproof Oboz shoes by Mystic Low. Available at Rocktown Adventures, in Rockford. This entry was posted on Monday, October 9th, 2017 at 12:00 pm	and is filed under Northwest Woman, Top Posts. You can follow any responses to this entry through the RSS 2.0 feed. Both comments and pings are currently closed.